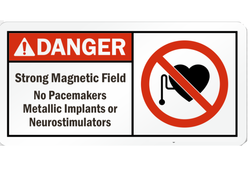 Magnetic Signs can include text, logo, photos, whatever you like. They are usually cut to a rectangular shape but can be cut to other shapes. Magnetic signs should be fitted to flat areas on the vehicle such as doors and side panels. They should be made to such a size that they fit nicely in the area and do not go over trim, sharp contours and panel edges. - Available in complete form for easy display in both sides. With thorough understanding of this domain, we are into presenting an enormous quality range of Vehicle Magnetic Signage to our clients. This Vehicle Magnetic Signage is an effective means of display advertising on vehicles. Furthermore, these products are made using top quality material and are economical in prices. 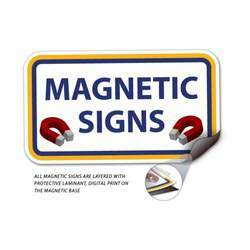 WE SUPPLY MAGNETIC TEACHING SIGNS Used For TEachIng In School .